Upcoming Motorola Tablet To Be Named Xoom? A few days back, Motorola brought in a teaser video dubbed as the “Tablet Evolution”, which displayed the complete history of all tablets to date. The video consisted of various tablets from Egyptian Hieroglyphic tablet, to the iPad and Galaxy Tab, ending the teaser video with a cloth covered Tablet displaying the Motorola Logo, “M”. Another interesting thing which we noticed in the video was the Honey Bee flying around the upcoming tablet, which of course refers to the tablet being powered by Google’s Android Honeycomb OS. Pocketnow just reported that Motorola’s upcoming Tablet which is to mark its existence, most probably at the CES 2011, would be named “Xoom”. Motorola has been filing for ” Motorola Xoom” trademarks all around the world, which according to many is likely to be the name of the company’s upcoming tablet. Apart from US, Motorola filed for the trademark in EU, Canada, Australia, New Zealand as well as in Taiwan. One thing which was widely noted was, Motorola filing for the trademark in Taiwan specifically in English characters, which obviously left us wondering that the Motorola Xoom would be what the upcoming tablet would be called. Computer Electronics Show (CES) 2011 would surely be a wonderful experience for all, specially for Motorola as it gears up a number of gadgets and related computer accessories. 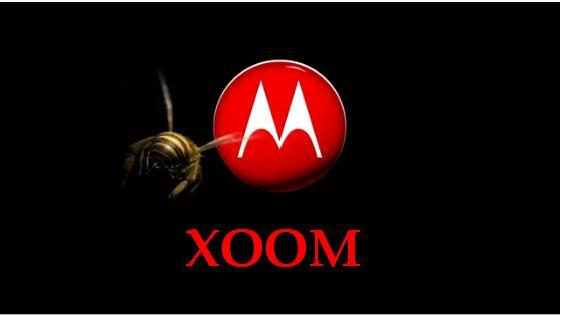 One Response to Upcoming Motorola Tablet To Be Named Xoom? Previous Entry: Skyfire for iPad Available Now!